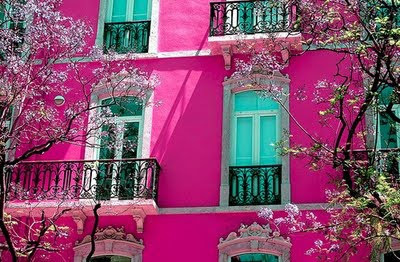 OK, so when I was 21 my favourite colour was Blue, then I had 3 boys and during that time, at some point it changed to something a little more girly and now I adore PINK!!!! So I thought I had to share my favourite pink things with you here goes! I love this quote, I love everything about it!! It pretty much describes me in nutshell!! I found this cute little fridge on Pinterest and I hope to one day have this at work on my desk! My engagement ring, it's pink and square and just so pretty!!! 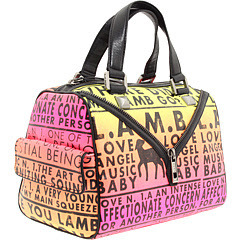 This bag is on the VERY top of my wish list, it's part of Gwen Stefani's L.A.M.B range. I would love to hear what your favourite colour is and why? Next week's Friday Favourites is Facebook Pages, don't forget to stop by. Loving the LAMB bag, the house, the ring, the fridge!